'Canadians should not have to wonder whether the person they’ve entrusted with their financial health is truly qualified to provide financial advice,' says Greg Pollock, CEO of Advocis, the Financial Advisors Association of Canada. Clients who have asked you about your background and credentials as a financial advisor are more in the know than most Canadians, a growing body of research finds. 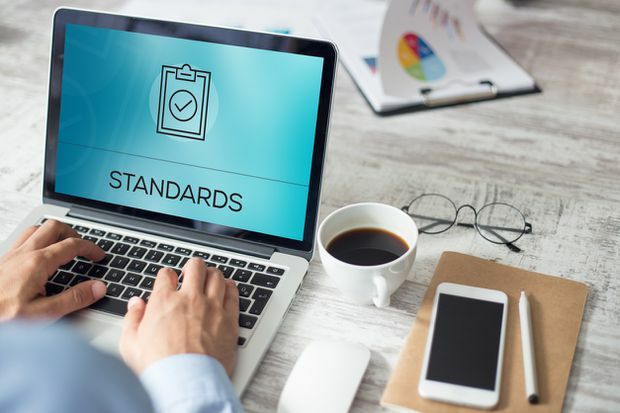 Most recently, a 2018 survey of 15,000 Ontarians conducted by Advocis, the Financial Advisors Association of Canada, found the majority of survey participants incorrectly believe that the title of “financial advisor” is regulated and requires accreditation. There is currently no minimum education required to provide financial advice in Canada. This misconception places investors “at significant risk of not only receiving poor advice, but also falling victim to unscrupulous actors posing as legitimate advisors,” the Advocis report says. “Far too often we hear stories in the media about investors being misled by individuals referring to themselves as ‘financial advisors’ or ‘financial planners,’ ” says Greg Pollock, Advocis CEO and president. “While an individual may hold a licence to sell a particular type of financial product, he or she may not have the training or experience to properly advise the client on their particular needs or situation. “Canadians should not have to wonder whether the person they’ve entrusted with their financial health is truly qualified to provide financial advice,” Mr. Pollock adds. The study also found that people between the ages of 18 and 30 and low-income Canadians – those the report deems most in need of sound financial advice – are the most willing to place trust in the “financial advisor” title. What’s more, there is currently no all-encompassing public database of financial advisors in Canada. This means that new investors shopping around for an advisor, especially those who lack social networks for referral, have no single place to turn. A 2017 FPSC study asked 1,527 Canadians whether they know for a fact that their financial advisor is a Certified Financial Planner – 57 per cent responded that they either disagree, don’t know, or would prefer not to answer, suggesting a lack of awareness. “The majority of Canadians believe that financial planners have professional certification, that financial planners are obligated to act in the clients’ best interest,” Mr. List says. “One of the problems, and the Advocis survey certainly brings this to light, is that ‘financial advisor’ has become such a generic and general term that’s sort of thrown around both within the industry or by advisors themselves, and consumers, to the extent that it doesn’t really mean anything,” he adds. “There really should be a national, standardized centralized registry, or at least a provincial level that somebody can go and look up what the qualifications of the individual are, and also be able to cross reference, the same way you can with health professions,” Mr. List says. In the meantime, he points to a few key resources for investors in the absence of a central registry of advisors. Among them is the FPSC’s “Find a Planner” tool, which Mr. List says is most helpful for those looking for holistic advice on their personal finances. For investors looking for more tailored advice on their portfolios, he suggests the Investment Industry Regulatory Organization of Canada’s AdvisorReport tool. Mr. List encourages anyone beginning the process of finding a new financial advisor to think about their specific needs before starting the hunt. Narrowing down your financial goals will help with navigating a sea of potentially confusing information on the advisors available in your area. Once investors have narrowed down the category of advisor of which they’re most in need, Mr. List suggests making sure that the candidates investors approach are certified professionally, using tools such as “Find a Planner” or “AdvisorReport.” From there, he suggests investors meet with their prospective advisors and be open and clear about their needs as a client. Mr. List also warns investors against advisors who attempt to point clients toward solutions or products early on, before formally establishing a professional relationship.